This product is available at Banggood, Aliexpress, TOMTOP Technology Co., Ltd, DealExtreme, Amazon.com, FastTech. 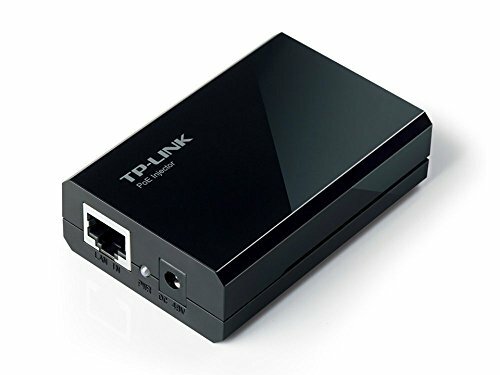 At banggood.com you can purchase 48V 0.5A PoE Injector Power Over Ethernet Adapter For Wireless Access for only $6.15, which is 67% less than the cost in FastTech ($18.81). The lowest price of POE Power Over Ethernet Splitter for Raspberry Pi 3 / Pi 2 was obtained on 7 February 2019 2 h 07 min. Ethernet POE (Power Over Ethernet) adapter to use an Ethernet cable to power compatible devices. These are for example some mini-PCs or surveillance cameras. The adapter allows the power supply to be injected into the network cable. The connected device draws power from the Ethernet cable. This makes it possible to install a single cable and to limit the risks of electric shock in the outside. Check that the power supply is delivered with the injector.